The SIG SAUER MCX, the gun used to take 49 lives June 12 in Orlando. 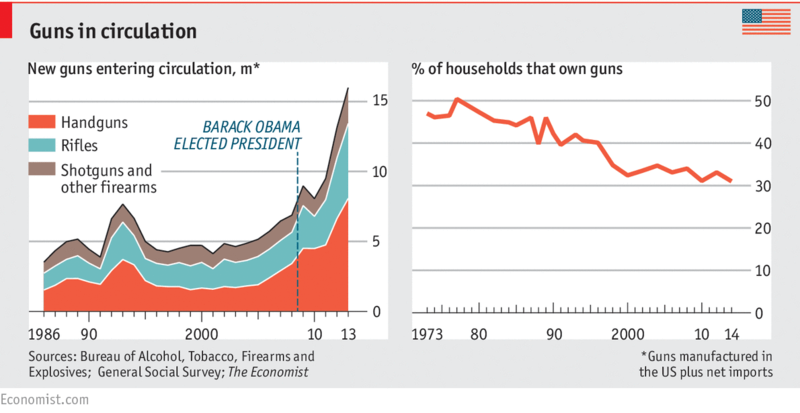 Since the election of Barack Obama, gun sales have gone up while, simultaneously, the number of gun owners has gone down. A minority of Americans is amassing personal arsenals. From time to time, one of those gun owners opens fire in a crowded place, and these weapons of mass homicide carry out the function for which they were designed: quickly, efficiently slaughtering multiple innocents. In the wake of the Orlando shooting, anyone with a constituency has been making pronouncements. Many, citing the killer's own 911 call, blame Islamic terrorists. Others, noting the location where the shooting occurred and the sexual identity of the victims, put it down to homophobia. Still others note that the killer's own confused sexual identity and the confused nature of that 911 call (he claimed affiliation to Islamic groups that are sworn enemies of each other) pin the blame on his mental instability. Advocates for gun ownership are quick to point out (as did Kevin Michalowski, editor of Concealed Carry Magazine, on last Friday's On the Media) that the vast majority of American gun owners are responsible persons who purchase, keep, and use their weapons safely and legally. Americans who use guns to kill other Americans or themselves are a tiny fraction of the gun-owning populace, and it is unfair to taint that majority with the misdeeds of the minority, let alone infringe on their Constitutional rights because of those misdeeds. Here's another of those misdeeds: yesterday in Katy, Texas, an altercation broke out at a family birthday party. At some point in the argument, Christy Shears, a 42-year-old mother who had posted frequently on Facebook both about how much she loved her 17- and 22-year-old daughters and how much she loved her guns, picked up one of those guns and shot one of her daughters, then pursued the other outside to shoot her in the back. She returned to the house to reload, came back outside to shoot the still-living daughter again, and after being challenged by a police officer and refusing to lower her gun, was herself shot. Her husband Jason, whose 45th birthday had been transformed into a bloodbath, could only watch in horror, pleading with her not to kill their children. News reports state that police had been called to the Shears' address many times to resolve domestic disputes, and that Christy Shears had a history of mental illness. The Orlando shooting was an epic tragedy, powered by the ready availability of assault weapons, and there have been far too many such incidents since those weapons became legal again. 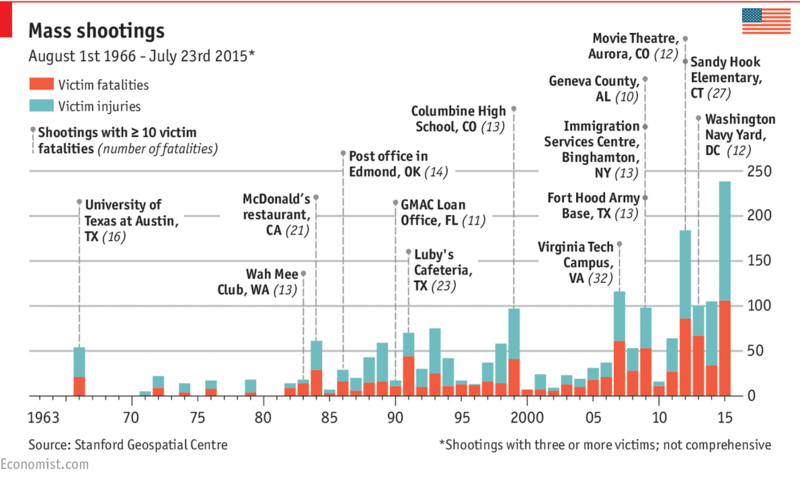 But we must not let this apparent epidemic of mass shootings blind us to the ongoing pandemic of smaller-scale incidents that have always made up the bulk of American gun statistics. Study after study has demonstrated that owning a gun greatly increases the probability of becoming a victim of gun violence. One of Christy Shears's posts restated the frequent myth that having a gun in the house makes the family safer in the event of home invasion--a crime so infrequent as to be statistically non-existent. Instead, Christy used her weapon as so many other unstable outliers have, turning it on her own family. As much as the pro-gun lobby would like to distract us with arguments about terrorists, criminals, and the mentally unstable, the common denominator in all gun deaths is, of course, guns. If Christy Shears had attacked her daughters with a kitchen knife, they'd probably still be alive. If the Orlando shooter had gone into the club with a machete, the death count would be a fraction of what it was. However much Kevin Michalowski and his colleagues protest the unfairness of tarring all gun owners with the brush of the irresponsible few, the fact of the matter is that as long as guns can be legally obtained without meaningful restrictions, those irresponsible few are going to continue purchasing them and accidentally or intentionally killing other people or themselves. They will continue to leave their guns out where children can pick them up and kill playmates, their parents, or themselves. As unfair as it may feel to the millions of responsible gun owners, it is far more unfair to the rest of us potential victims that their Constitutionally protected hobby is endangering our lives. The National Rifle Association frequently makes the claim that "the only thing that can stop a bad guy with a gun is a good guy with a gun." There may even be truth to that claim, though the cases of mass shootings being stopped by the presence of a legal concealed weapon are as rare as those of home invasions. What the NRA won't ever mention--and what Kevin Michalowski carefully avoided responding to--is the reality that it's not the bad guys with guns most of us need to worry about. It's the legal gun owners who are too immature, unstable, forgetful, or reactionary to be trusted with weapons that can kill people hundreds of feet away. The only way to stop these ordinary people from killing others or themselves is not to let them have guns in the first place. If that means inconveniencing the responsible hobbyists by making them jump through more hoops before they can add to their collections, so be it. This isn't stamp collecting. One final observation: I used to avoid most bars because I didn't want to breathe second-hand smoke, and come away smelling like an ashtray. Since Oregon passed an indoor smoking ban, my options for eating, drinking, and socializing have proliferated. I realize I'm inconveniencing smokers, forcing them outdoors to better-ventilated areas to engage in their habit, but I'm okay with that, and I expect the bartenders and wait staff at these bars are, too. It's common sense that your right to engage in your preferred behaviors ends when it impinges on my right not to engage in them or, even more importantly, not to be injured or killed by them. Your right to smoke ends at my lungs. Is it that much of a stretch to say that your right to own guns should end with my right not to be shot?